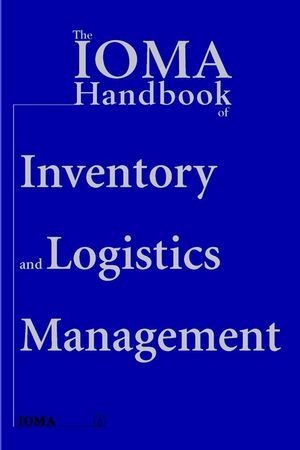 Practical, easy-to-implement advice on the most successful logistics management techniques being used today--from selecting the best carriers, setting logistics performance goals, and planning logistics strategies, to streamlining shipping and receiving and slashing logistics costs, and negotiating and managing third party logistics service providers. IOMA, The Institute of Management and Administration, publishes a broad range of high quality information products for business professionals. Each of our prod-ucts serves two purposes: to improve the efficiency of our subscriber, and to en-hance the financial performance of the firm or organization. Over 180,000 top busi-ness professionals rely on IOMA publications every month. IOMA is based in New York City. Fifty-Four Tips for Improved Logistics Operations. New Logistics Products, Services, and Ideas. Inventory Reduction Strategies: Insights from the Pros. Inventory Reduction Strategies: IOMA Readers Report What Works. Inventory Reduction Strategies: Case Studies of Success. New Inventory Management Products, Services, and Ideas. PART III: SUPPLY CHAIN MANAGEMENT. Supply Chain Management: Insights from the Pros. Supply Chain Management: IOMA Readers Report What Works. Supply Chain Management: Case Studies of Success.